Just got my last issue of O at Home (sniff, sniff) and I open it right up to more pink! 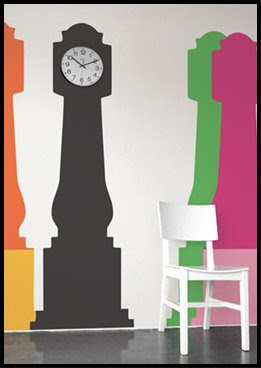 This time it was this awesome pink wall decal in the shape of a grandfather clock from whatisblik.com. Why didn't I think of these? Here is a picture from the website showing all the different colors. color me curious...is O at home going under or is it just your last month on the subscription? 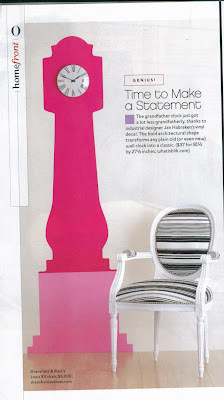 love the clocks! This is great, thanks for the website.